Scary Maze Game 2 – Do you have what it takes? Do you like a challenge? Think your hand-eye coordination is good? Maybe you just like to prank your friends. Whatever the case, you will love to play Scary Maze Game 2. 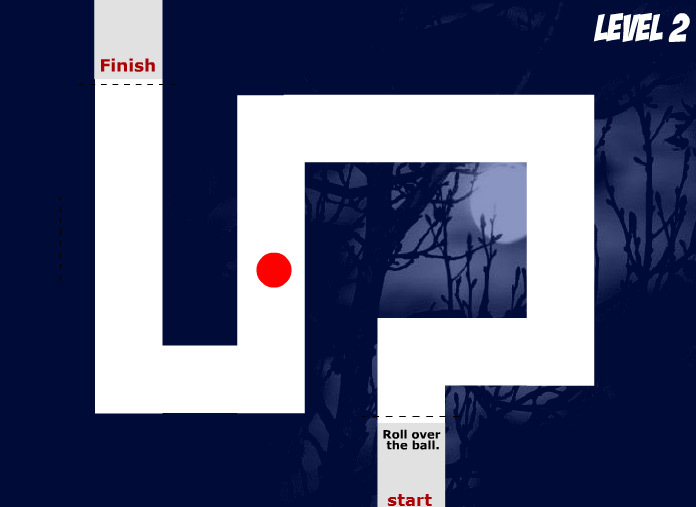 The game has one simple objective – roll the ball through the maze to the goal to complete each level. The catch is: can you do it without touching the sides? There are 5 levels you must complete. If you can do this, you can move on to the last round: the bonus round! This is where things get interesting!The game might sound easy, however some people may find it difficult. It challenges your hand-eye coordination and fine motor skills. The graphics of Scary Maze Game 2 are rather simple. There is a backdrop picture of a spooky, forest-like image set behind each maze. Once you get into the bonus round, that’s when you’re likely to get your socks scared off of you! The graphics are a little better there. Personally, I wouldn’t recommend this game for anyone younger than 13. The images on this game – especially in the bonus level – can be rather scary for younger children. Older children are less likely to develop nightmares based on unrealistic images and characters. So parents – play this game first, and use your best judgment before allowing your children to play. 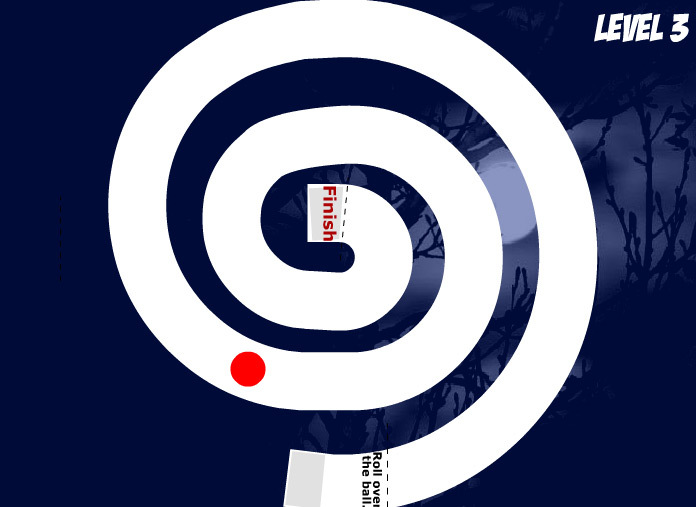 The developers of this game offer many other maze games similar to this one. Out of curiosity, we played a few. 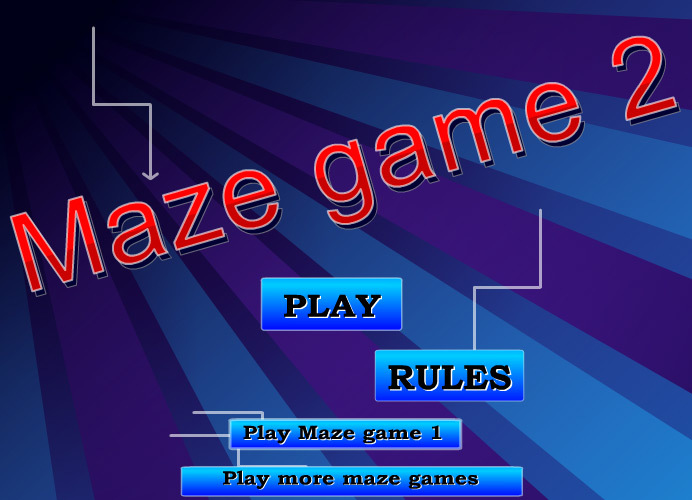 The objectives of all of the scary maze games offered are about the same: guide a ball or block through the maze to the end or goal. The graphics and bonus round images are always different, though. In one version, you could be playing in a simple black on turquoise setting, with the bonus round having one type of scary image – and in a different version, you could be playing in a completely different color scheme or image background, with a totally different scary image for the bonus round. You just never know what the developers have in store for you! None of these games are very time consuming. They are mostly for us pranksters that enjoy scaring our friends and family. This is the perfect game for “April Fool’s Day” pranks! Due to it being such a simple, short game – there are no need for cheat codes, entering in codes to receive free game money, or anything of that nature. With games like these, you can always find some good entertainment floating around the internet of other people playing. There are many videos on youtube of people playing Scary Maze 2, and other similar games, that will have you rolling in your seat laughing. Many of these videos have already gone viral, and you may have already seen them, or heard your friends talking about them. Overall, this game is both fun, and funny. It’s a great game to play when you’re looking for something to do – or to get a laugh at your friends’ expense. It also helps you to practice your fine motor skills. So, I ask you – do you have what it takes?